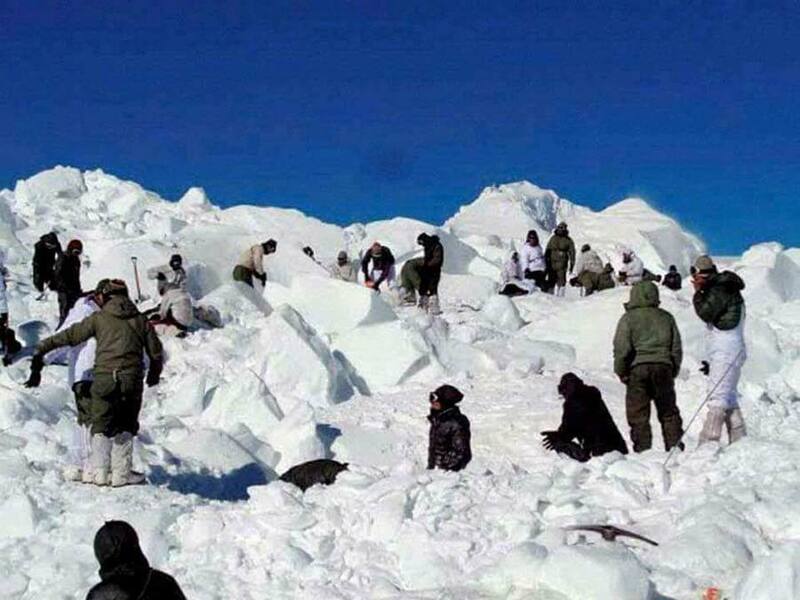 Volunteers including security men digging in the snow to get the bodies out in a gorge near the Sadha Top, the pass separating Kashmir from Karnah. Getting into Karnah, one of the frontier belts of Kashmir is not a cake walk. Primarily, it is an unstable road that gives goose bumps during inclement weather and then security reasons are another major concern, especially for a non local. Visitors have to follow the process of registration, once they cross the Sadhana Pass that separates the two valleys. But reaching the Pass, originally called Nasta Tchun (written by BRO as Nastha Chun, a Kashmiri word means without a nose) is not so easy. For non-residents, a formal permission from Deputy Commissioner Kupwara is must. At Sadhna Pass, a photocopy is to be deposited for an onward journey, in addition to a copy each at Chowkibal and Tangdar. If somebody has to move away from Tangdar in a peripheral village, he would require and additional permission by the Sub Divisional magistrate who operates from Tangdar. Mushtaq Ahmad, a resident said, even the Brigade office issues the permissions for peripheral villages in case the SDM is not in office. Like any other frontier spot, the visitors are greeted by bone-chilling icy winds and the probing eyes of security men weaning stern faces at Sadhna Pass overlooking the Karnah and part of the Athmuqam belt of Pakistan administered Kashmir (PaK). Soldiers here begin the process by counting the heads inside the vehicle and then verification of documents starts. In certain cases, they may ask lot many questions, some uncomfortable, to the non local visitors. One of Kashmir’s most frontier belts, Karnah was as hot as Srinagar, this winter. But unlike sunshine, it was the talk about a “consistent denial” of a tunnel that is raising lot of heat and dust. A road accident on January 5, 2018, in which all the nine passengers travelling in a taxi were killed has fueled the mass debate, this season. 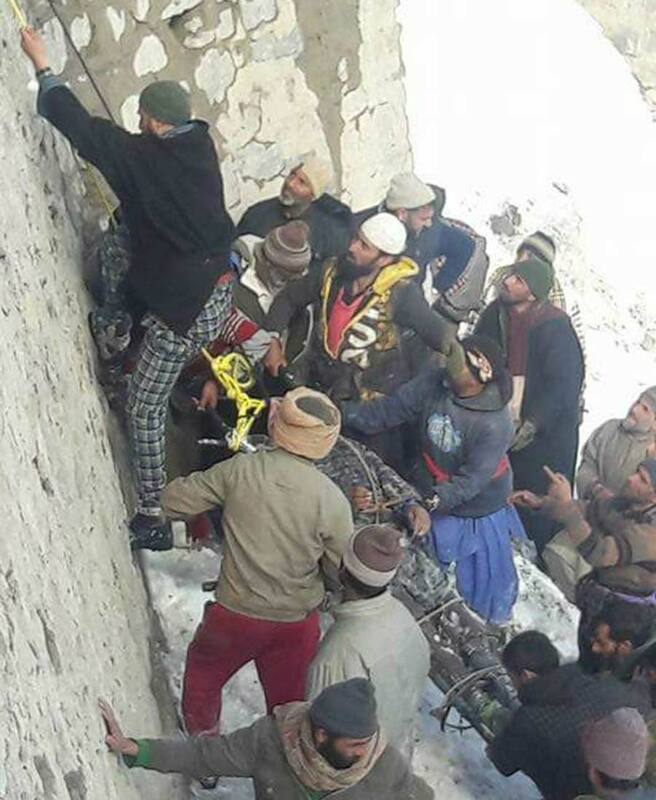 The dead included Gundisadia’s Shafqat Begum, a teacher, who died along with her year-old child Amina Jan. Though the government announced compensation of Rs 4 lakh to each of the bereaved families, the families are still waiting. The thought of the approaching winter season sends shivers down the spine of a frail Ali Ghor Khan of Chiterkote village. The 65-year-old has braved worst winters in the past, but 2017 snowfall changed his life forever. In January 2017, his wife died in Pathankot and the road was closed. 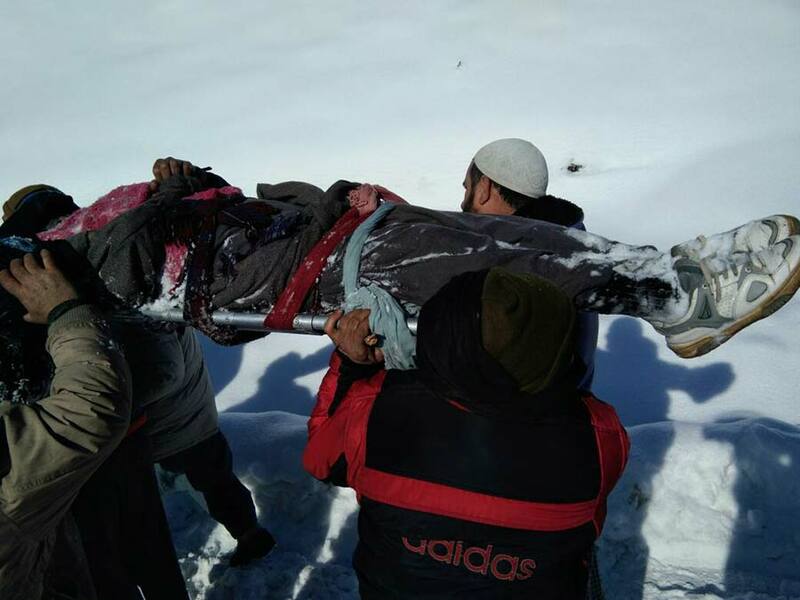 Her body was finally carried on shoulders by his soldier son, who trekked 50 km for many days to give her a decent burial at their ancestral graveyard. The Tangdar-Tulail region, like Gurez, Machil, and Ladakh, remains disconnected from Kashmir during winters. Unlike Ladakh that will have two tunnels making it accessible round the year – on which spade work is in final stage, a tunnel was loudly talked about for Karnah too. But there has not been any formal announcement, so far. Road to Karnah, only 68 kms from Kupwara, passes through the perilous 10600-ft Sadhna Pass and it turns dangerously slippery even by a drizzle. The strategic Chowkibal-Teetwal road is a national highway, but from Sadhana, only entry into the Karnah valley, it is in a bad shape. Border Roads Organisation (BRO) that takes care of the road has blacktopped it from Chowkibal to Sadhana, but the entire distance up to Teetwal is in bad shape.Mere thought of passing the peaks scares most of the 80,000 people living in the valley. Till late 1990s, the road would remain formally closed for entire six months of winter but now it remains inaccessible for over a fortnight. But travel continues be dangerous. Entire Tangdar region is prone to shelling. Pakistani shells land at Sadhna top too. From shoulders to the vehicle, to the coffin and then to the grave. Residents of Karnah say it has become a perpetual thing with them in absence of a tunnel. Even army is highly supportive of the mass movement. “We have taken up this project with the most senior decision-makers in the country,” one senior army officer said. With both the users – the army and the civilian population, almost on the same page on the tunnel issues, the two are enjoying good relations with each other. The entire valley is policed by one police station and two police posts. “Our region is mesmerizingly beautiful and lot many people wish to come and enjoy the beauty but there is no road,” Qazi Abdul Hamid Qureshi, a retired principal and chairman of the Shairah Council, Karnah, said. A portion of Jamia Masjid Tangdar is fenced separately and the inhabitants believe that Hazrat Shahi Hamdan had stayed in this corner for some time. Residents insist that this can be a huge attraction for the faithful to be in Tangdar. The belt has historically been part of the Muzaffarbad district, the town where PaK’s capital is based. A shortest route to Muzaffarabad from Srinagar, Karnah was sort of a gateway to ancient university, the Sharda Peath in the Neelum Valley. Leepa valley’s Rishiyan Gali in 1948, could not return, so far. It is not so easy to take the body up to the road. It needs people, shoulders, ropes, raw courage and defying logic. In Karnah valley, Tangdar is the only place where it snows. Move ahead towards Tulail and the LoC, it does not snow at all. It is part of a different climate. Though the political division has divided families and severed the relations, still the two sides are strongly connected with each other. Source of water to most of the villages in the region is still on the other side of the LoC. “Every year, farmers collect money, put it in a handkerchief and throw it to the other side so that water for irrigation continues to their fields,” said Qazi. In fact, the repairs of these irrigation streams is being carried out by PaK residents who then charge the residents of Dahni Sadpora in Karnah, a practice in vogue for the last 60 years. Villages like Seemari live on both sides of the LoC and are little garrisons in their own way. Various off-track hamlets living very close to the LoC, live between the LoC and fence and are gated. Every time, they get in or move out, they have to prove their identity. Now the belt is completely a frontier. The ubiquitous military fatigues tell the larger reality of Karnah, where the major employment comes from the army that hires residents as potters. The region is quite acidic to the politics. It ensured the defeat of Kafeel-ur-Rehman, a teacher turned NC politician, who remained the local representative from the region since 1996, and sent PDP’s Raja Manzoor to the assembly. “This man (Raja) and his party promised us change in 2014 elections but ended up following the footsteps of his predecessors,” said a local firebrand cleric. “For us, even the water of his home is Haraam—till he delivers on his promise.” Locals threaten even boycotting elections if the government did not deliver on the tunnel project. Lack of access for most of winter forces shortage on the local small market. Life during winters is expensive as rates of vegetables sky-rocket. Petrol costs Rs 85, a litre, in Tangdar. Almost every sphere is impacted by the lack of access, residents insist. Karnah has a college but quite a few subjects are being taught. “Teachers apart, we even do not have a sweeper, a laboratory assistant or even a library,” Imran Ahmad, a student alleged. The local 30-beded Sub-District Hospital is unable to manage a section of the patients who have no option but to move to Srinagar. The doctors, local say, are insufficient to cater to the requirements of the vast locality. Against 27 sanctioned posts of doctors, only six are working and eight sanctioned posts of medical officers, only four officers are present in the hospital. There is no gynecologist or a pediatrician. The hospital gets 300 patients in its OPD daily. “When it comes to driving to Srinagar, the option is to choose between the two: either to die in Karnah or on the road,” Ahmed added.